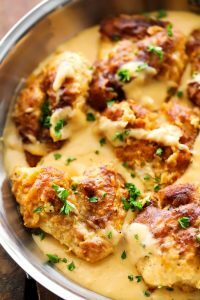 This Fried Chicken and Gravy is so simple and truly a spectacular dish! The chicken has a pan-fried batter that crisps and browns up beautifully and is then baked to tender perfection. 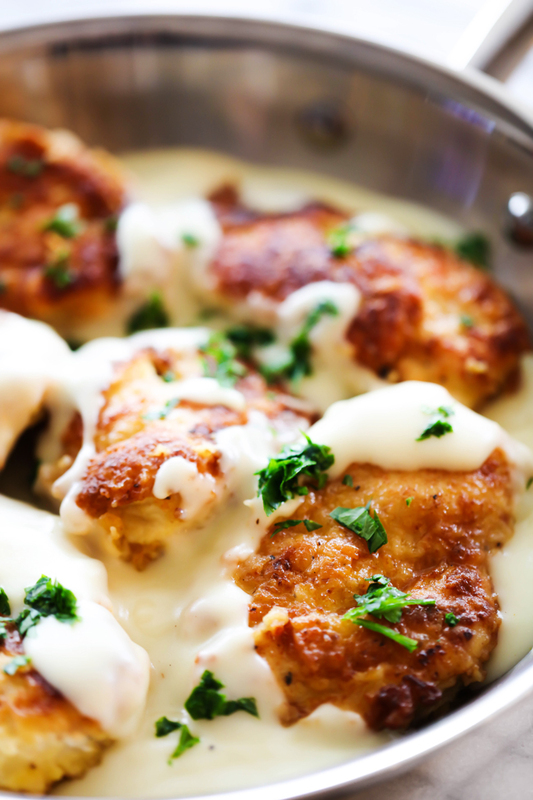 The gravy is flavorful and the perfect compliment to the chicken. Christmas is ONE WEEK from today and I am bursting at the seams with excitement! However, between several family and friend parties and busy season in work, I am overwhelmed when it comes to figuring out dinner. Sometimes keeping flavors simple at meal time is just the ticket to keeping my sanity. Today’s recipe is comfort food at its finest! 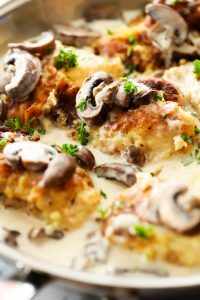 I love a good chicken and gravy and this one is a family favorite! The chicken is marinated overnight. It is pan fried then baked. The batter covered chicken is seasoned to perfection. As if the chicken wasn’t delicious enough, it is then smothered in a fantastic simple gravy. 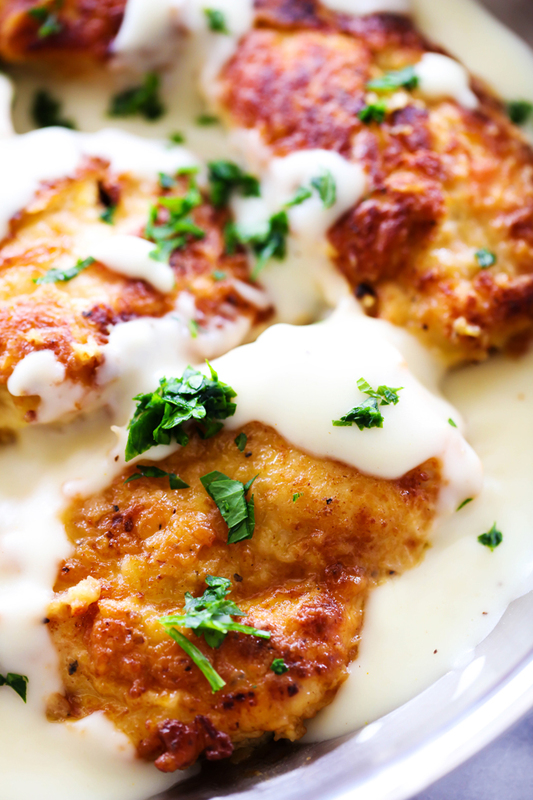 If you need a delicious new dinner idea that the whole family will love, then give this a try! It is outstanding! In a large mixing bowl, add flour, salt, pepper, cayenne pepper, garlic powder, garlic salt and onion powder. Mix well. Remove chicken from baggie and dredge in the flour mixture. While the chicken is baking, melt butter in large skillet over medium heat. Add ½ cup flour. Cook for 1 minute. Slowly add the milk and stir quickly using a flat wire whisk until smooth. Add the crushed chicken bouillon and salt. Stir until gravy comes to a soft boil and thickens. Serve over chicken and mashed potatoes. Thank you for the idea ! Happy holidays ! oh my! I am loving your recipes. they seem so easy and good to look at too. I will be trying this one too.